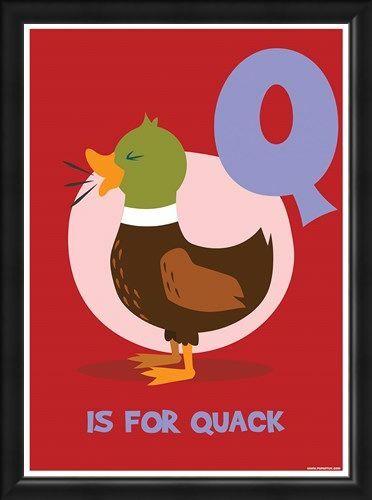 Quack quack! 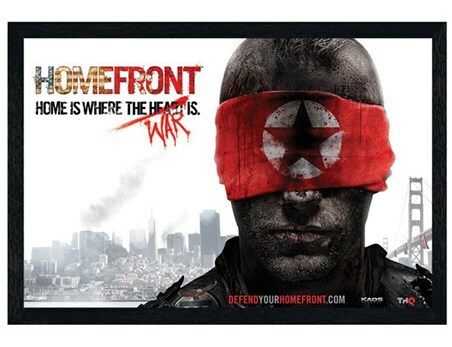 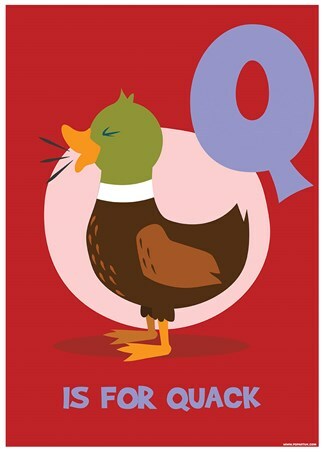 This mini poster features a cheerful little guy who wants to be heard loud and clear! 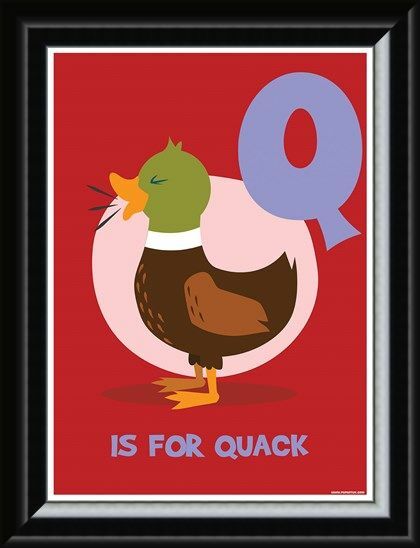 Normally spotted in the local park or pond, this duck has waddled onto a rosy red and pink backdrop. 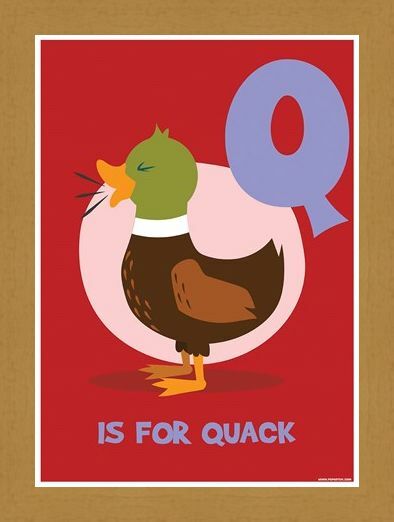 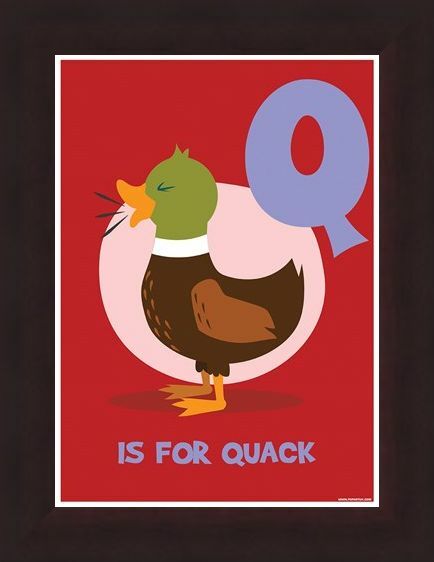 Here to remind you and your little ones, in a big and bold font that ‘Q is for quack!’ So if your little ducklings love learning, this mini poster is perfect! 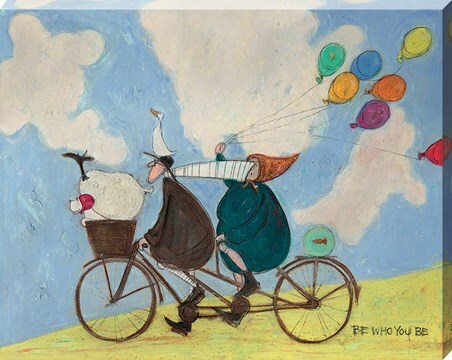 High quality, framed Q Is For Quack, Learning With Pictures mini poster with a bespoke frame by our custom framing service.